I have seen ridiculous numbers of people purchase stainless steel insulated tumblers and I have seen even more people trying to compare Yeti vs RTIC and Orca vs Yeti or Ozark Trail vs every other tumbler on the market. These amazing cups are great for keeping your coffee hot or your sweet tea cold. There have even been videos on keeping ice in one of these magic mugs for 24 hours and still having some ice left over. I am not a coffee drinker, but I do like my drink to stay ice cold, so the concept of these vacuum sealed, stainless steel insulated tumblers was very intriguing to me. Yeti was the trailblazer when it comes high quality insulating storage. Their coolers are some of the best around and their stainless steel tumblers are the reason that people are enamored with these products. when it comes to coolers and insulated cups, Yeti is the Cadillac of the industry. The only downside is that you are going to be paying Cadillac prices. The cheapest I could find a new Yeti Rambler was $37.50 and you had to wait at least a week to get it. 5-year limited warranty. If there is a defect it will be replaced. The only real downside to this product is the price. The top level pricing is why people are considering the other products on this list. Orca came out as a big competitor to Yeti and the cut the price significantly across all their products. The Orca Chaser will cost you $24.99 on Amazon and is qualifies for shipping under Amazon Prime so you can get it to your house in two days with your Prime membership. This is the only tumbler in the group that is not offered in the 30 oz size. Why take away that 10% Orca? Other than that it’s a much better price when comparing Yeti vs Orca. RTIC is the third big player in the insulated cooler industry and is the most affordable of the three so far. RTIC is a direct to consumer company so you can only buy their products online. If you purchase from the website it will cost you $14.99 plus $6.99 for shipping, but I found the RTIC Tumbler on Amazon for $16.59 and free shipping. Only being available online is not fun for returns if you ever had to return one. I would buy this one from Amazon, since I know the return process is really easy. Ozark Trail is the least expensive of the four, is another 30 oz. size, and is distributed by Wal-Mart. These tumblers are so popular they are backordered a ton of the time. Their popularity is because they are only $9.97, but I recommend buying them off the Wal-Mart website and then picking them up in-store (no shipping charge), because finding them right now by walking is not very likely. You can also buy them on Amazon.com for $16.67, but that is 8¢ more expensive than RTIC so if you are going the Amazon route you should probably just save the money. The product is great and I have held in my hands and compared Ozark Trail vs Yeti tumblers. The only down side is that they have become really hard to find. If you need a tumbler in the next couple of days and Wal-Mart is out, then you will have to pay the extra $6.58 for the RTIC. So now we get down to comparing these four wonderful products. They are similar in size and shape and all make claims to keep your drink cold or hot for hours. So functionally there is ABSOLUTELY NO DIFFERENCE BETWEEN THEM. That’s right, nothing, nada, zero. 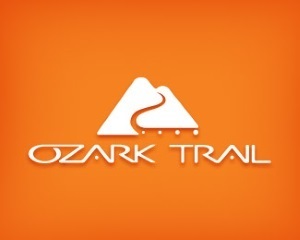 In fact, Ozark Trail doesn’t even have a website, so, like a lot of off brand Wal-Mart products, they are probably manufactured by one of the other three. I haven’t been able to find which one it is, but that is how Wally World works. So if you are comparing Yeti vs RTIC or RTIC vs Ozark Trail you are basically looking at the exact same tumbler. That means we are only looking at two things, price and where the item in manufactured. Ozark Trail wins on price and RTIC wins on price with availability. While Yeti and Orca manufcature their coolers in the United States, Yeti does manufacture these tumbers in China and Orca doesn’t tell us where their tumblers are made. RTIC and Ozark Trail both tell us that they manufacture all their products in China. Judging by that information, I am going to go out on a limb and say that all the best insulated stainless steel tumblers are manufactured in China, but you can buy American if you want to go up to one of the top coolers by Yeti and Orca. Whether you are looking to keep your coffee hot or your summer drink cold, these insulated stainless steel tumblers are going to do the trick. For my money I am going to buy one of the RTIC ones right away for my wife and then wait to get the $9.97 Ozark Trail tumbler when I see it in stock at my local Wal-Mart Neighborhood market. If you are going to go the American made route, then the only one that has a chance is the Orca. What it really comes down to is whether you are comparing Yeti vs RTIC, RTIC vs Orca, or Orca vs Ozark Trail, you are pretty much looking at the exact same product. I purchased a RTIC tumbler for $11 and did not have to go online or worry about shipping. Ice is nice, but what about spills??? Not very useful if the liquid spills on your car interior or clothes, are they? What info do you have as to spill prevention? That sounds like a pretty good deal. Usually the $11 stainless steel tumblers are slightly smaller than the ones I researched for this post. Thanks for letting everyone know!! All of these tumblers have some sort of lid. How good they are with spills is going to depend on the one you choose. I haven’t had any problem with my Ozark trail tumbler and my wife has been more than happy with her RTIC one. I guess the real test is if I fill a stainless steel tumbler up with water and hand it off to my two year old. Although, I am pretty sure that she can make ANY cup spill all over the place. are they all dishwater safe? Technically they are all dishwasher safe, but I have read several places that the dishwasher can eventually wear out the seal. So in my family we just go ahead and wash any of our tumblers (stainless steal or plastic) by hand. I purchased a 30 oz RTIC at a travel station in Texas for under $11. It keeps ice up to 36 hours. Love that. The biggest problem I have is that the top is just pushed on and when the cup falls the lid flies off and all contents are spewed all over. Also the top that it came with has a small opening (unable to close or cover) drink out of that spills the liquid contents when tipped all over my backpack. You can purchase a different lid that has a slide closing cover, but that still does not change the weak link of the push on top. That is some great info Annah. Thanks for sharing. I have noticed that one of the distinguishing differences between the cups is the quality of the lid. I will make sure that I include that when I do the next stainless steel tumbler update. You can also buy extra accessories from yeti or a number of eBay retailers (I despise Amazon) including handles and spill proof lids.